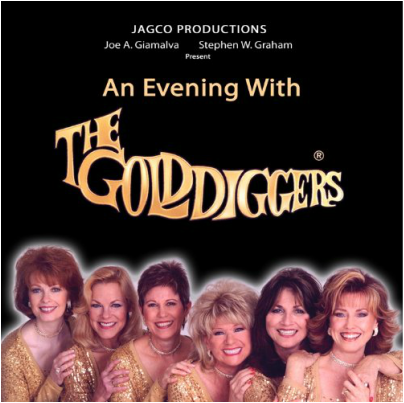 "An Evening with the Golddiggers"
Spend an evening with the Golddiggers, a 2009 performance taped at the historical El Portal Theatre in North Hollywood. This DVD, which is packed with music, comedy and stories about Dean Martin and Bob Hope, will bring you back to the days of quality entertainment. "What fun it was to see "The Golddigger's" again after so many years. I remember watching when I was in my 20's, and living in Los Angeles. Thank you Mr. Giamalva, and Mr. Graham for bringing them back! " Martin C.